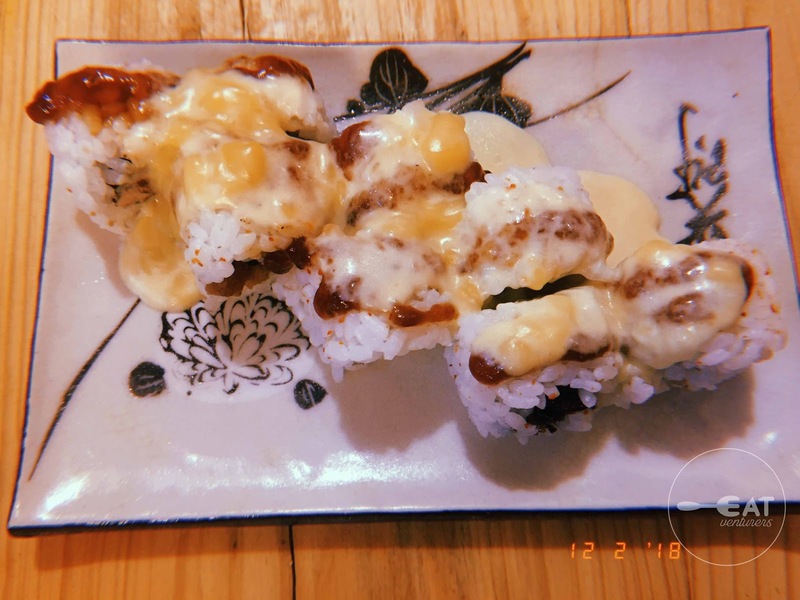 What sets Wild Kinjo apart from other food spots around UST is that it offers a fusion of Latin- American and Japanese dishes at a surprisingly affordable price. 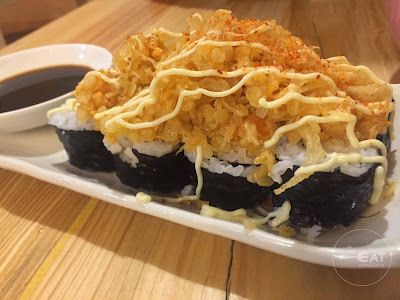 Yes, it’s like having the best of both worlds with nothing worth over P150. Traveling from BGC to Manila was worth all the hassle when we tried Wild Kinjo’s bestsellers. The place is good for chilling and hanging out and they also play good music. 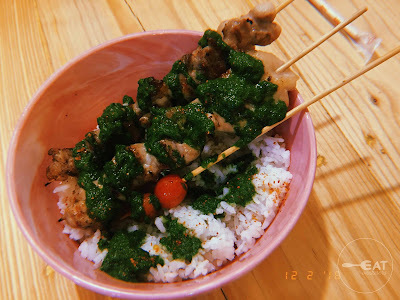 For starters, The Eatventurers ordered the much-raved Chicken Churrasco (P110). This rice bowl meal has slow-grilled chicken thigh topped with cherry tomatoes and drenched in surprising delicious signature Brazilian sauce that tastes as good as it looks. 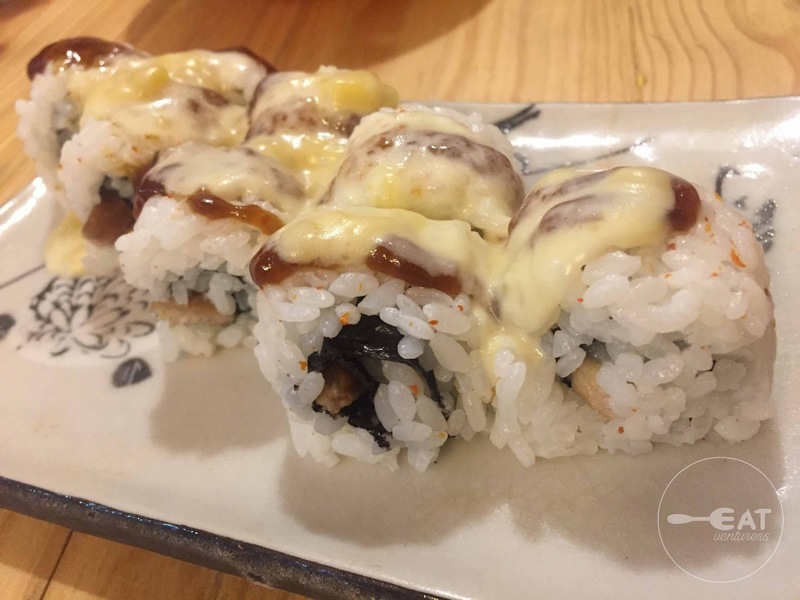 We also tried their Philly Cheesesteak Sushi (P120) and we could not get over how yummy it tastes. The melted special cheeses blend well with the torched beef. Of course, one sushi variety is not enough. So we also ordered the Spicy Salmon Roll (P150). 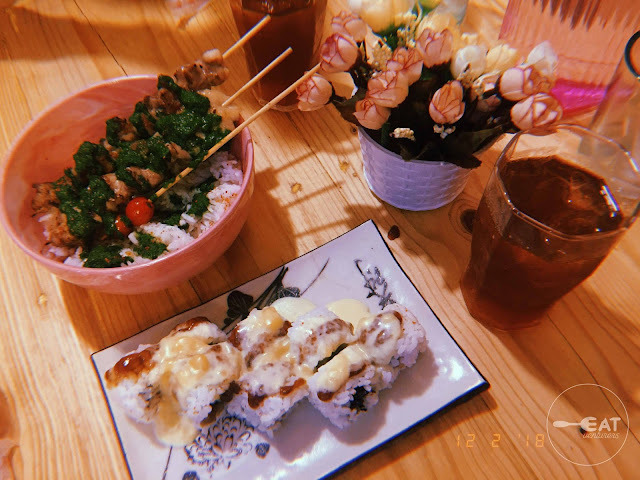 It’s just the right amount of spicy that even people who are not fond of spicy dishes would surely like it. It also has Wild Kinjo's signature crunchy flakes and mayo that balance the spicy flavor. The best thing about their rolls? One serving has eight rolls a.k.a. they’re worth every penny. The meals also come with free iced tea. What more can we ask for? Our orders were also served on time and we were well-accommodated so we were truly satisfied with the service. 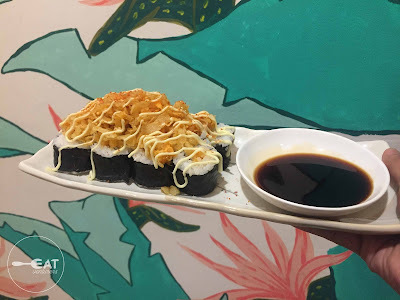 During our visit, we were served by the owners and kitchen masters themselves, Arnie Villanueva and Deo Montuerto, who also happen to be bloggers. Aside from serving good and affordable dishes, Wild Kinjo also claims to be the “prettiest restaurant in UST.” Our verdict? Yes. 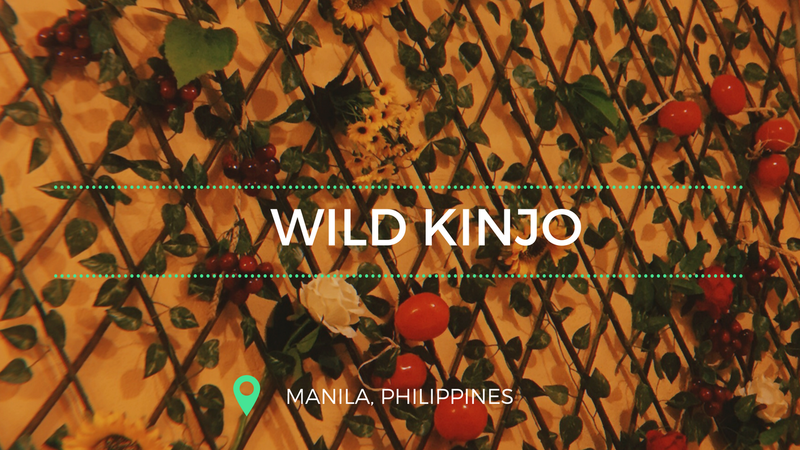 Wild Kinjo is the most Instagram-worthy food spot in the UST perfect for students and millennials. Every corner deserves a spot on your curated feed. Plus the food lives up to its aesthetics that we'd crave for their dishes over and over. 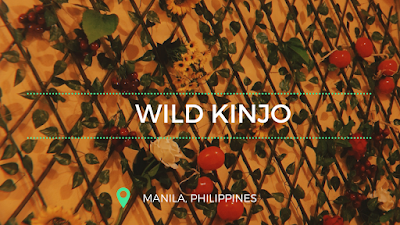 If The Eatventurers were still studying in UST, we would come back to Wild Kinjo from time to time. We'd definitely try other dishes they offer. Although it just opened last year, we can foresee that this resto has a bright future ahead of it. 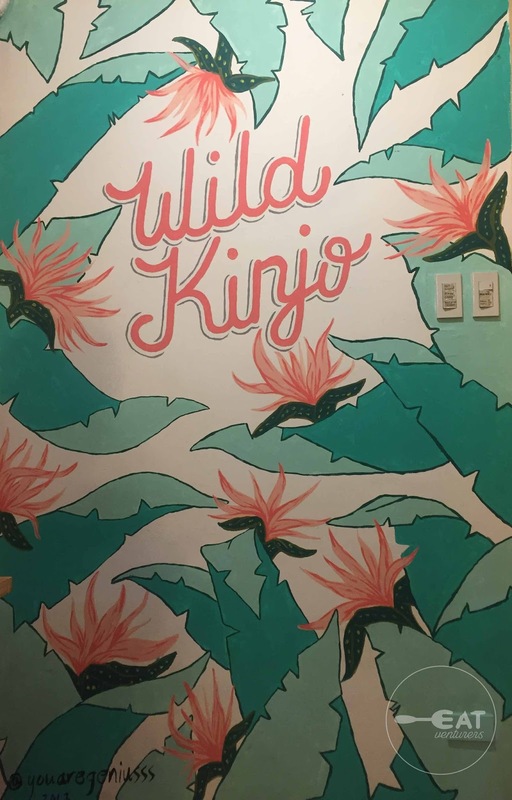 For sure, Wild Kinjo would be one of our go-to places for lunch or dinners where we could bond over pleasantly good food and interiors. 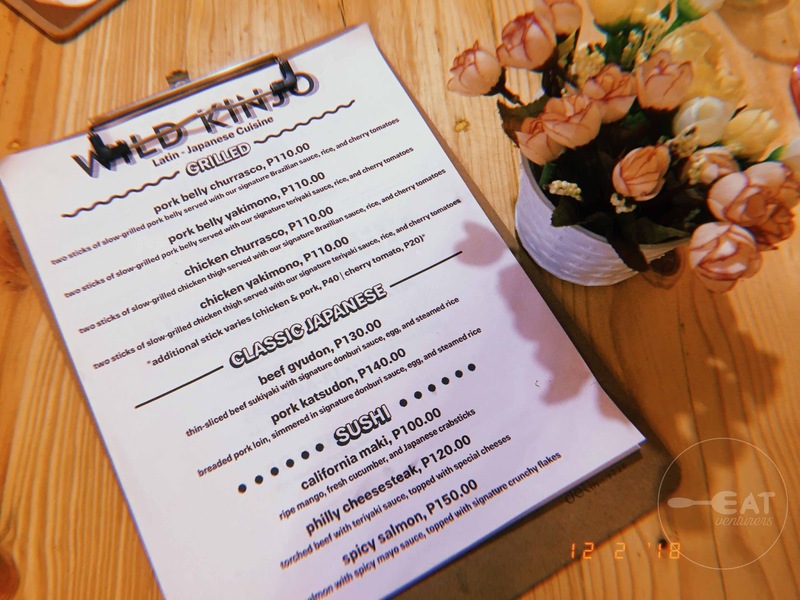 I'm trying this resto out since I live in the area!